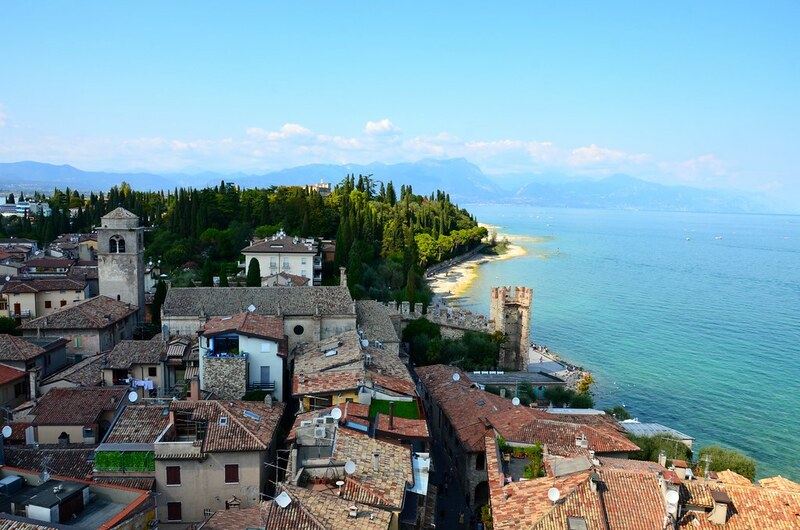 Torri del Benaco is a charming village in the Province of Verona on Lake Garda in Italy. 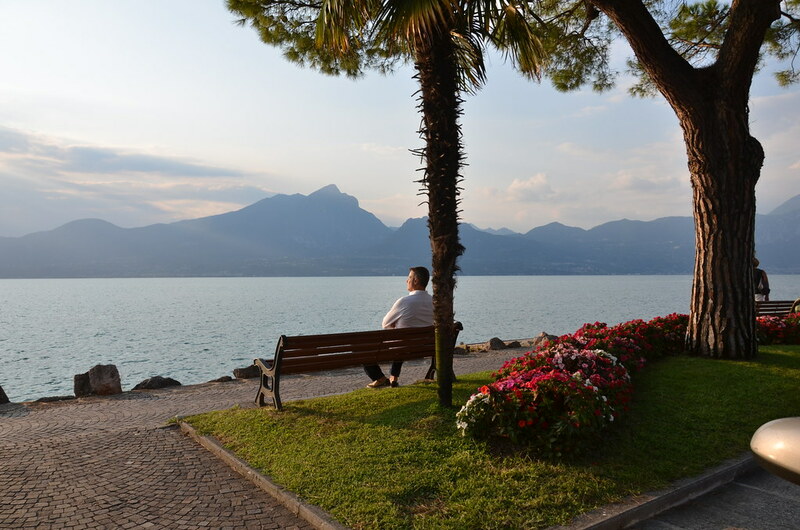 Lake Garda is the largest lake in Italy located between Venice and Milan. 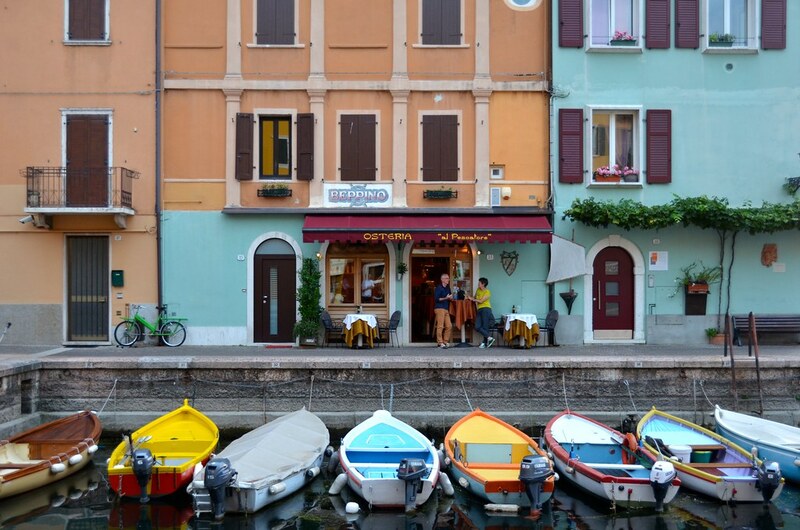 John and I stopped there for a few days during our European Delivery adventure back in September 2015. 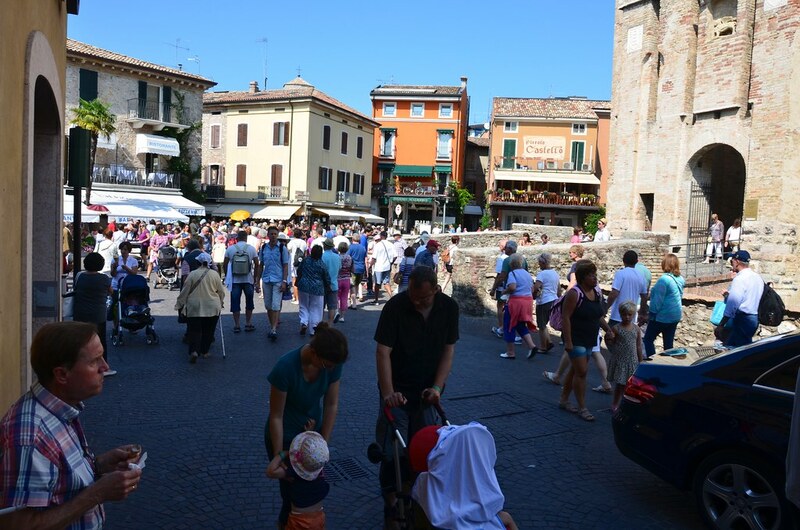 After reading the reviews on Trip Advisor, we chose to stay at Hotel Albergo Gardesana in a pedestrian only area on the main square. 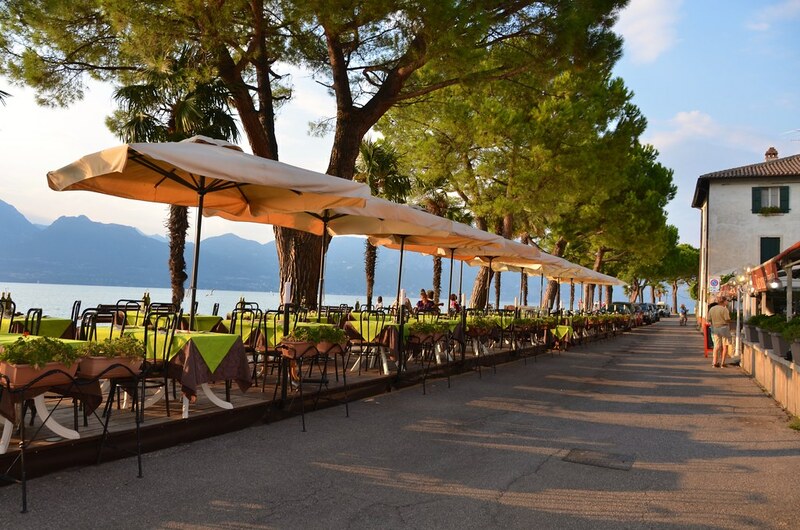 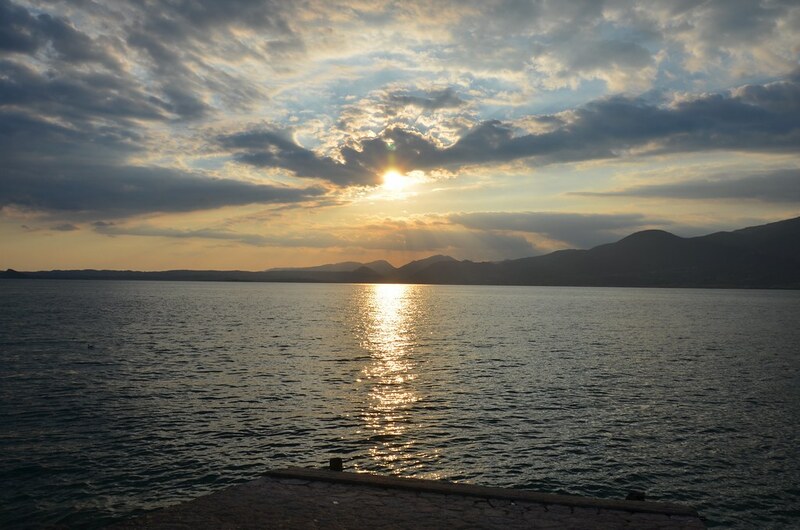 There are several good lakeside restaurants to choose from in Torri del Benaco. 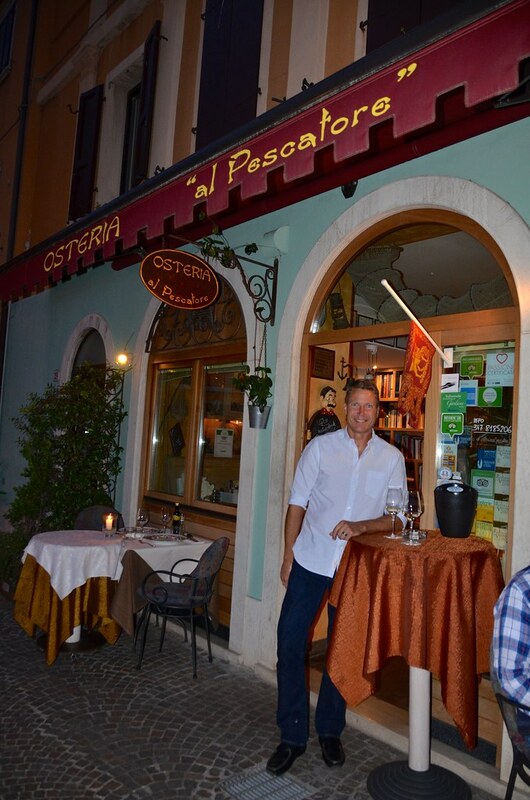 But the best meal we ate was at L’osteria Al Pescatore in Castelletto. 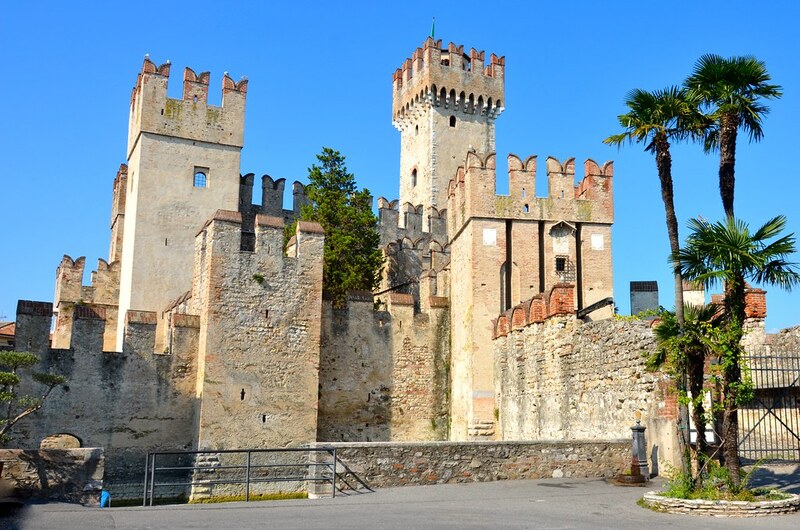 Castelletto is another charming village on Lake Garda located about 10 minutes north of Torri del Benaco. 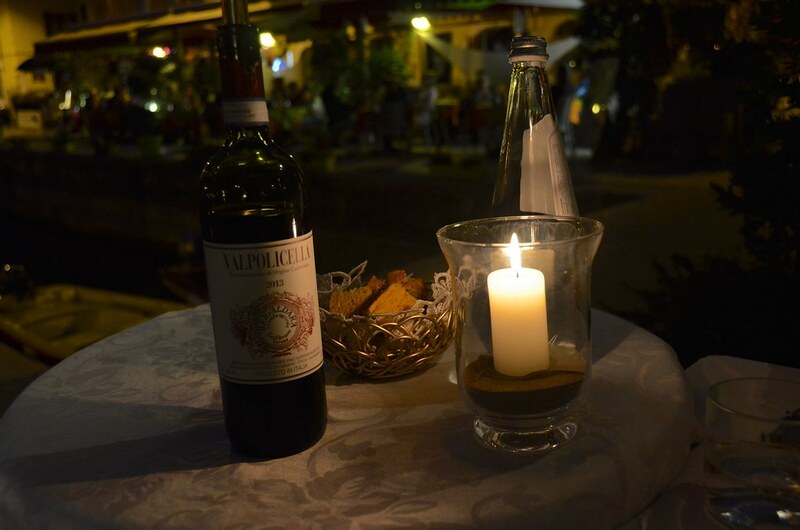 When we arrived we were offered a welcome drink while they prepared our table. 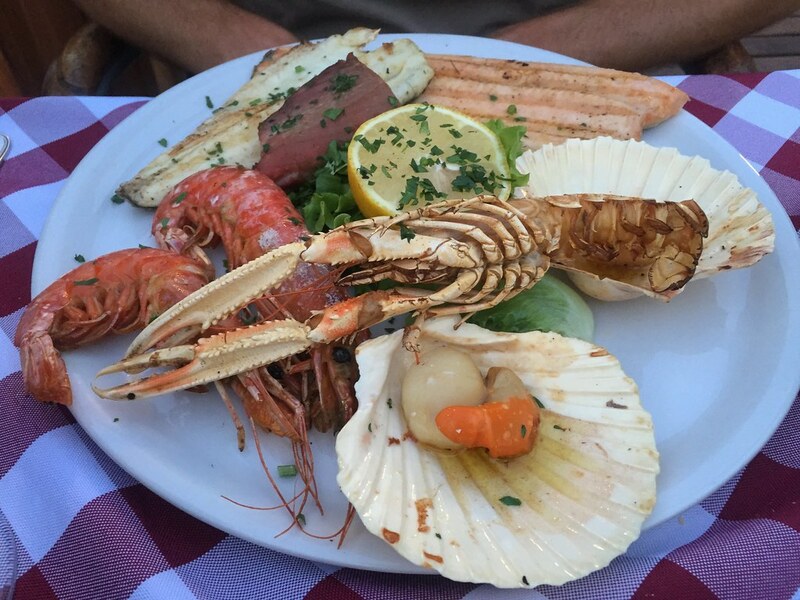 There isn’t a menu at L’osteria Al Pescatore. 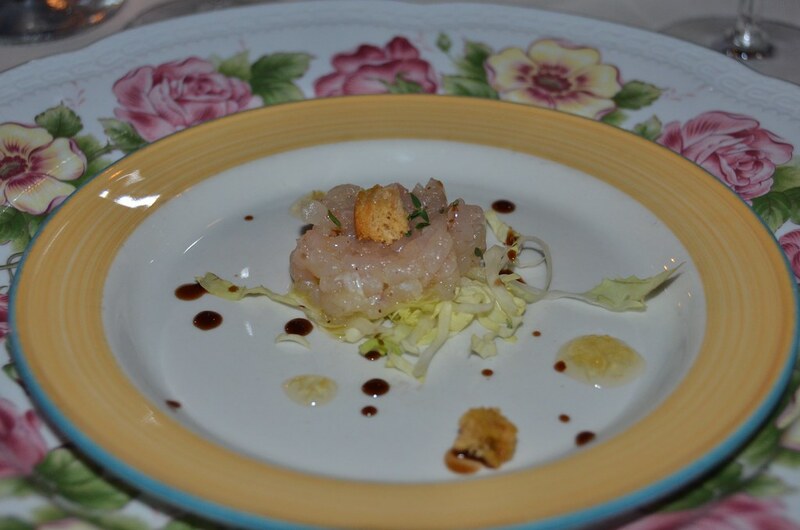 The chef prepares food based on the fresh fish and ingredients available that day. 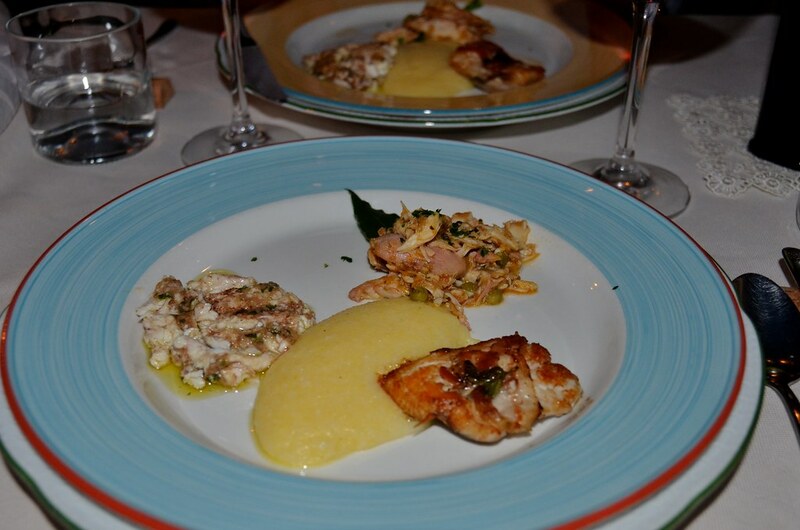 The cost of the meal is €60 per person including wine. 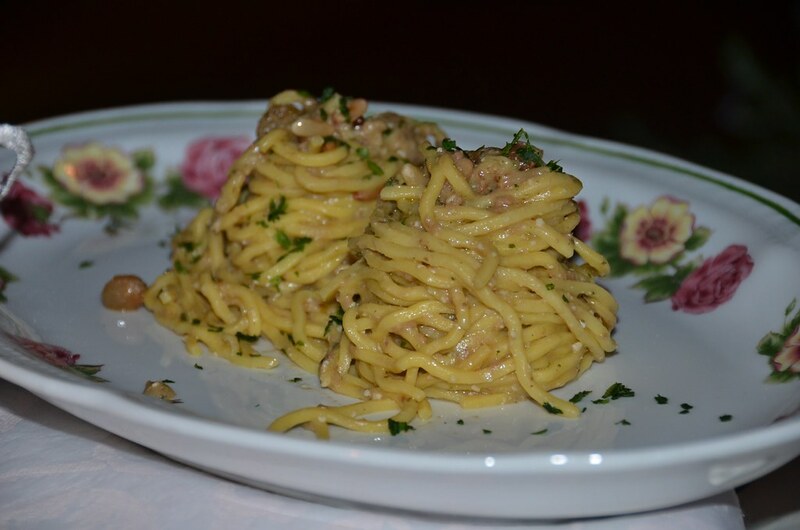 Eating at L’osteria Al Pescatore is a lot like going to your Italian Grandmother’s house for dinner. 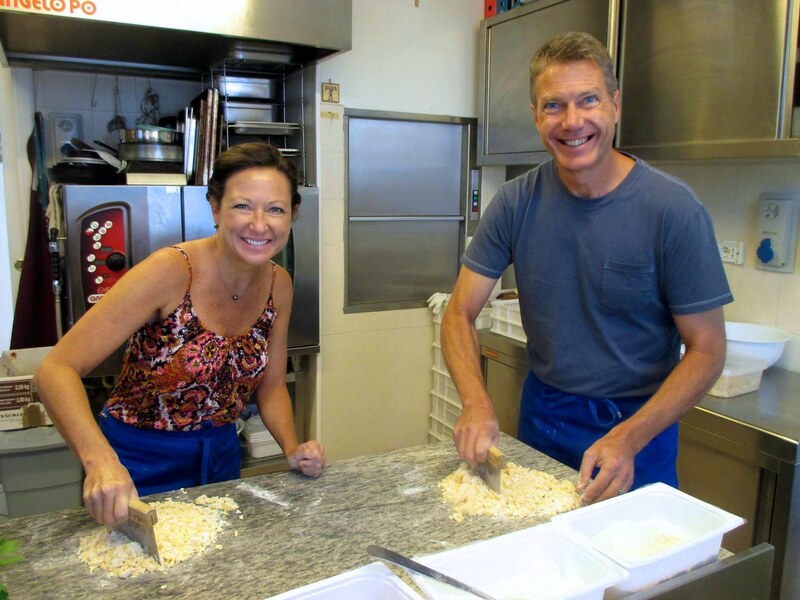 As long as you are there, she will insist on feeding you one delectable dish after another. 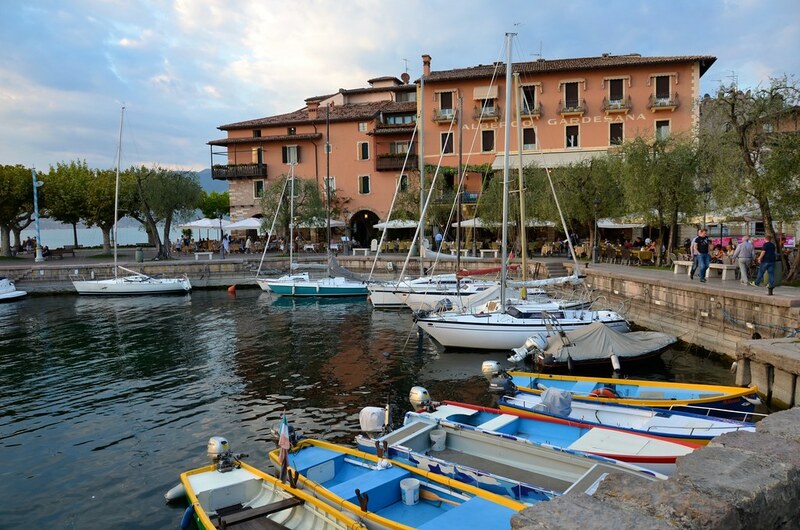 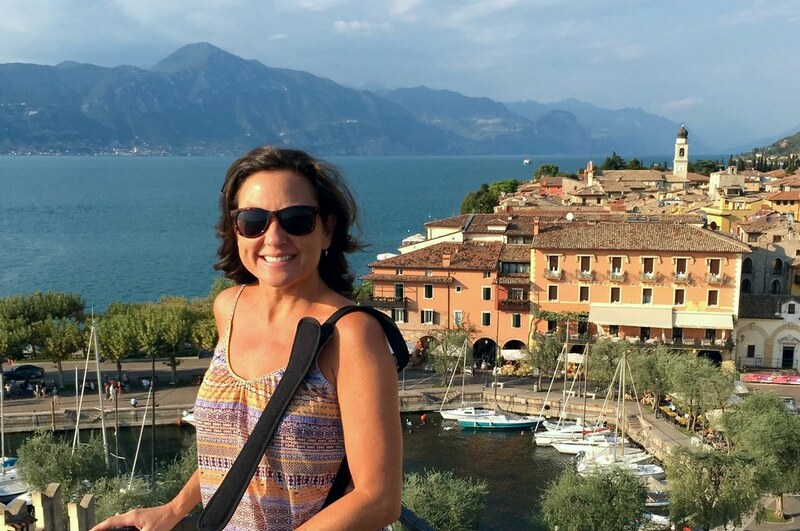 There are many things to do around Lake Garda and you could easily spend a couple of weeks exploring all of the small villages on the lake. 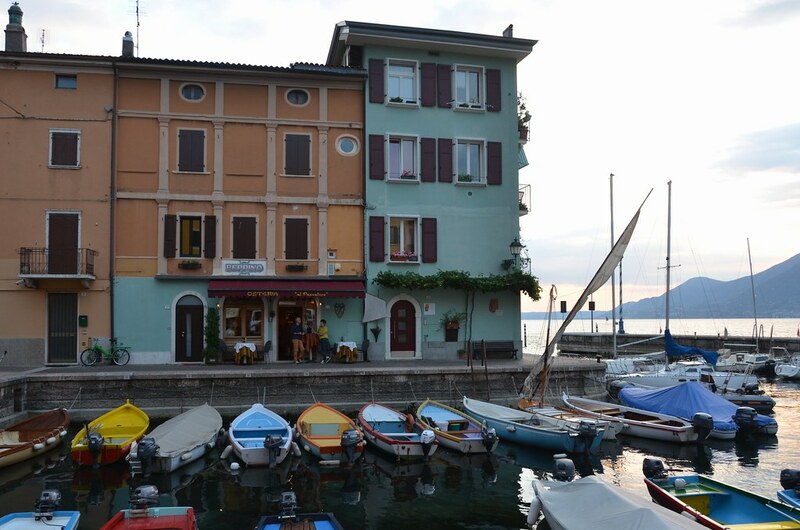 One day we took a cooking class at Le Gemme di Artemisia, a hillside restaurant overlooking Lake Garda. 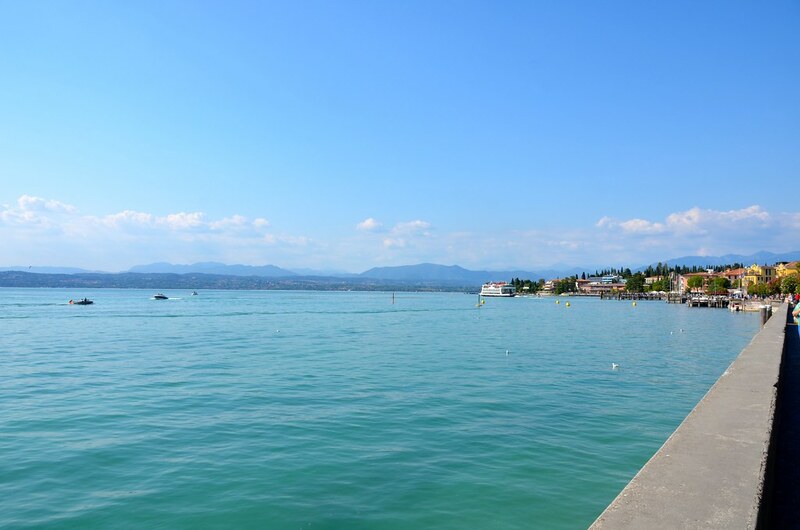 About an hour south of Torri del Benaco is the town of Sirmione, located on a picturesque peninsula. 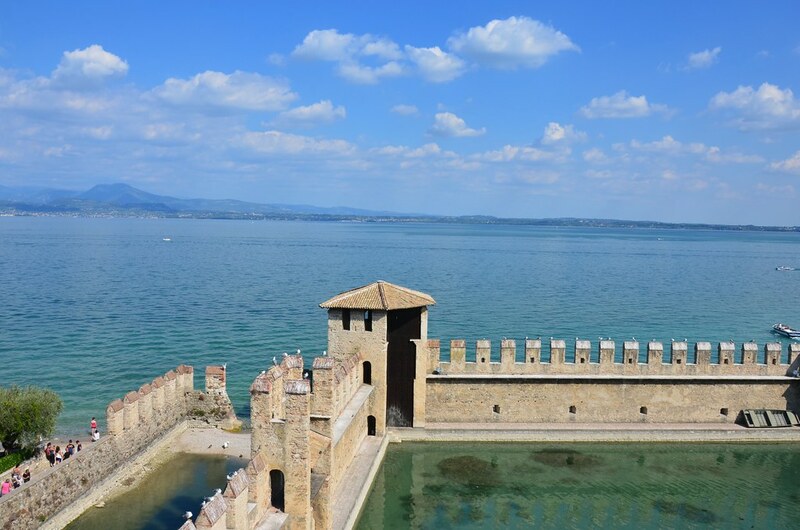 Many tourists go there to visit Scaliger Castle, a medieval castle built near the end of the 12th century. 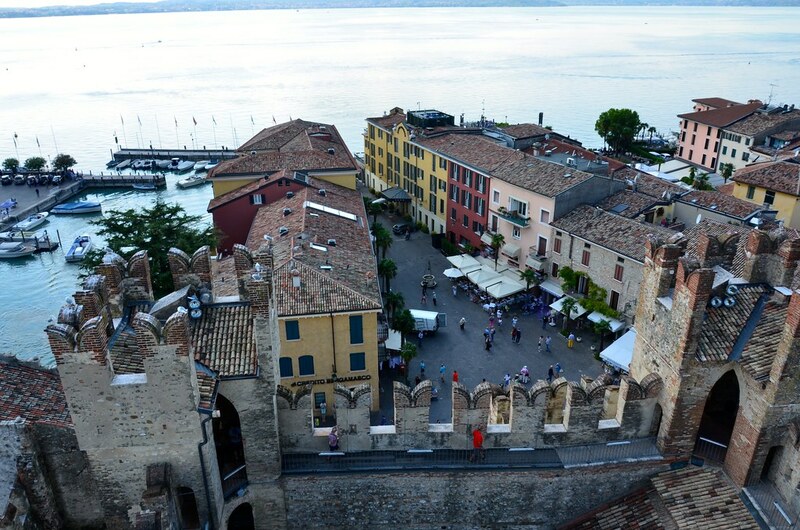 Once inside, a staircase leads to the walkways above the walls providing a marvelous view of the lake and town of Sirmione. 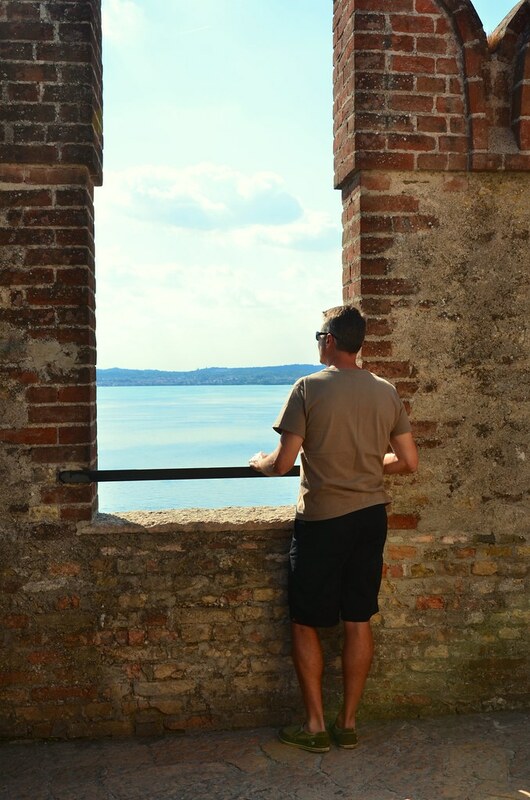 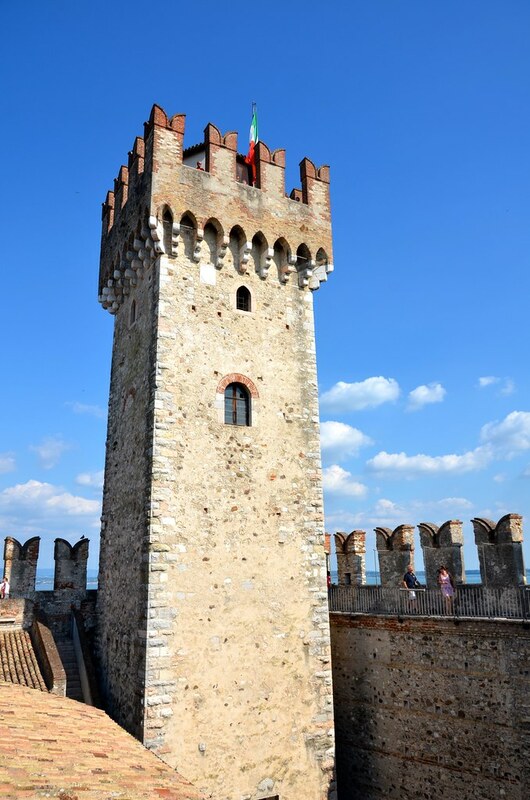 Scaliger Castle is definitely worth visiting if your travels take you to Lake Garda. 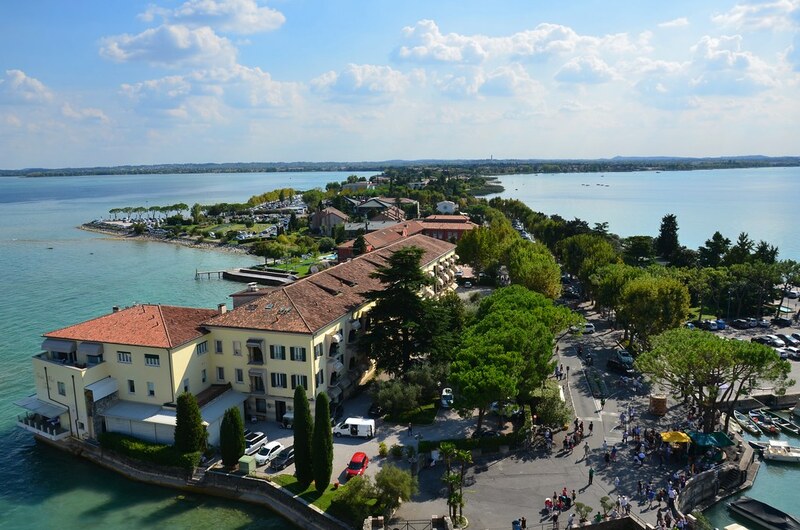 The town of Sirmione is extremely touristy, so I wouldn’t recommend staying there. 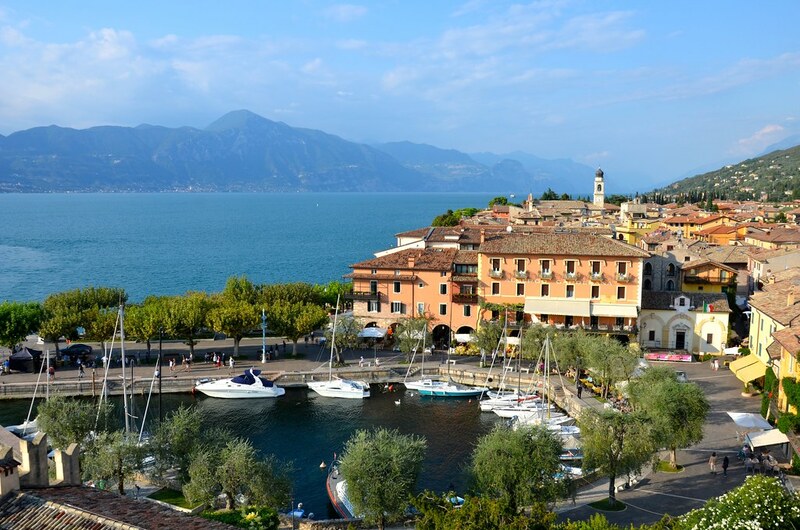 You are better off choosing one of the quiet charming towns along the lake. 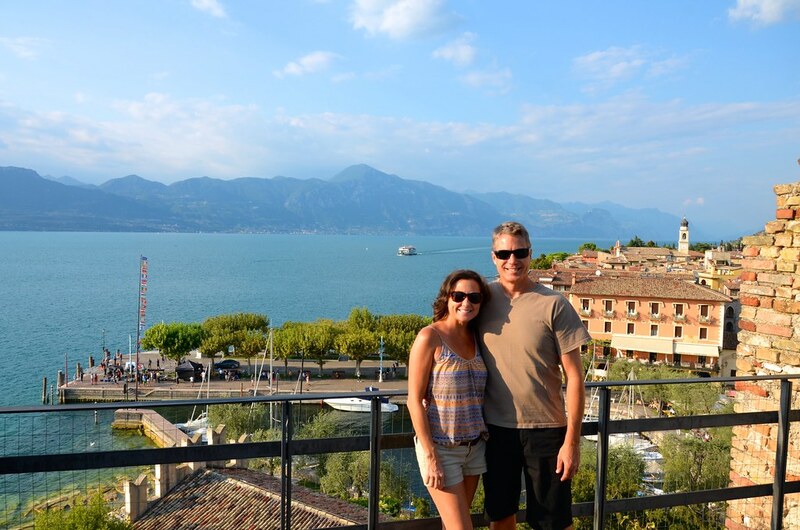 We’ve been to several places in Italy and have enjoyed all of them for different reasons. 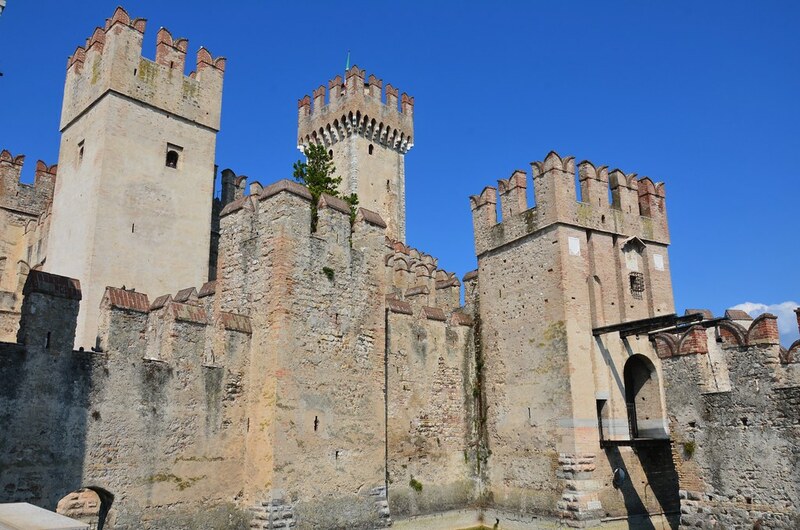 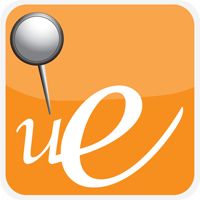 This was our first time exploring the Veneto region, but it won’t be our last. 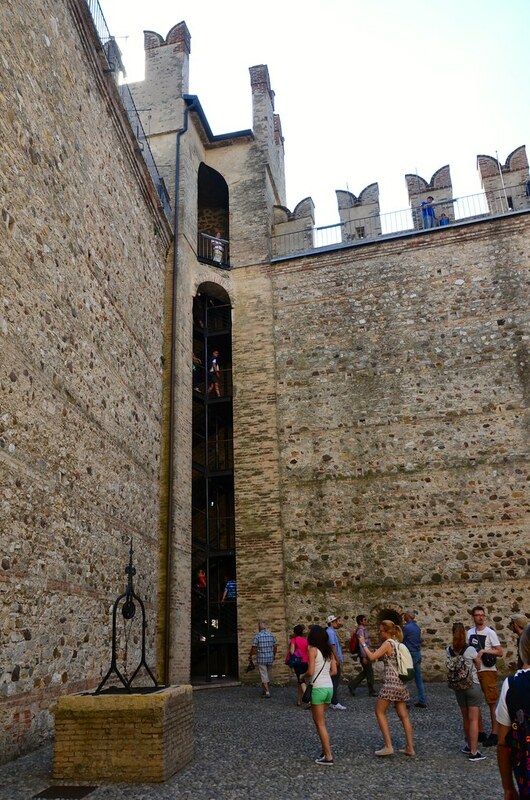 One Response to "Torri del Benaco, Italy"